Based on the 45X Concept shown at the 2018 Auto Expo, the Altroz is all set for its global debut at the upcoming 2019 Geneva Motor Show. After making its debut as the 45X Concept vehicle at the 2018 Auto Expo, Tata Motors has started the countdown to the launch of its next-generation premium urban hatchback. As a run-up to its global premiere at this year's Geneva International Motor Show, Tata has revealed that the car will be called 'Altroz'. The inception of this unique moniker stems from nature itself - it has been inspired by the name of the legendary bird 'Albatross', famous in the bird kingdom for having the longest wingspan – up to 11 feet! Like the bird's majestic status, Tata aims to position the Altroz as a premium product, claiming that the Altroz will shine above all its contemporaries with its class-leading agility, speed and efficiency along with best-in-class performance and in-cabin space. The Altroz will be the first product from Tata to be engineered on its new ALFA (Agile Light Flexible Advanced) Architecture. With the lightweight, modular and flexible characteristics, the ALFA architecture benefits from an easy modification and development cycle, which will help Tata in reducing the turnaround time for developing future new models based on this platform. 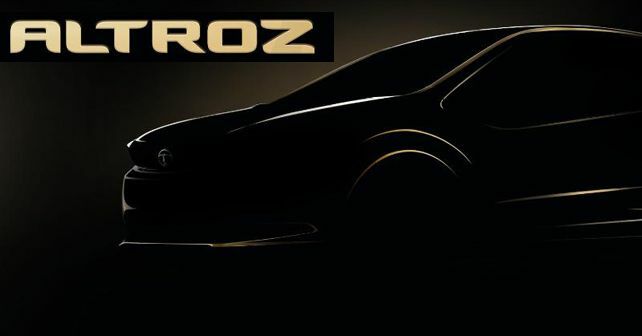 Like the newly-launched Harrier, the Altroz has also been conceptualised under Tata's IMPACT 2.0 Design philosophy. While Mr Pareek has gone on to reveal a ballpark figure for the commercial launch of the Altroz (mid-2019), we are yet to receive verified details about the hatchback's powertrain options and features.